Skin’s dryness can be cured with moisturizers and what can be more hydrating then the body butters. 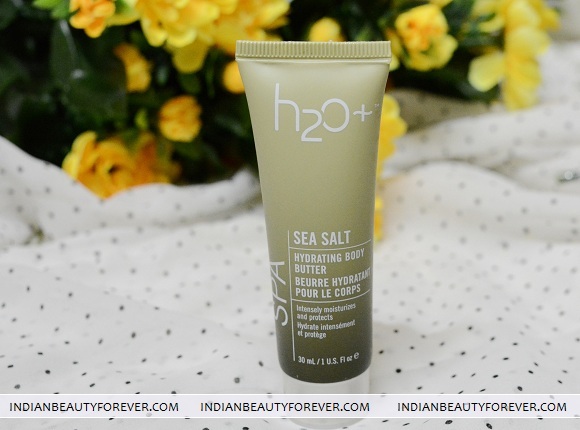 I will review H20 Plus Sea salt Hydrating Body Butter in this post. When it comes to body butter most of us are The body Shop's body butter lovers but after using this I can say it is quite close but something is still missing. So, let me put this under the review scanner and give you my two cents on this product here. 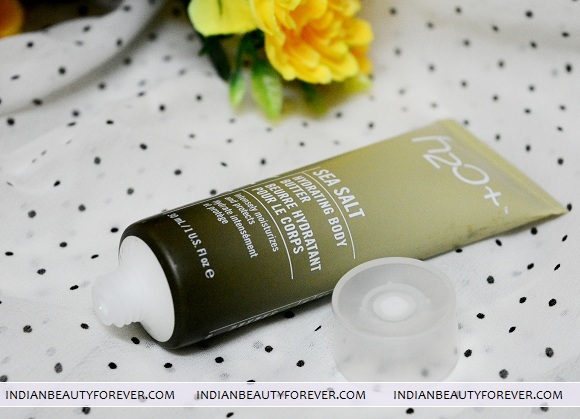 Price: H20 Plus Sea salt Hydrating Body Butter is priced at 1450 Rupees for 240 ml in India. It is available Here. Brand Claims: Sea Salt Hydrating Body Butter is formulated to cater to the need of your skin. It ensures that the skin is nourished and stays hydrated all day long. The rich concentration of shea butter and coconut oil in this body butter helps soothe the skin to keep it supple and soft. It also has the antioxidants like green and Paraguay teas protect your skin cells from damage due to environmental stress and assure you skin that is healthy. The marine botanical extracts like wakame, sea lettuce and sea fennel make your skin radiant with their deep and oil-free hydration. 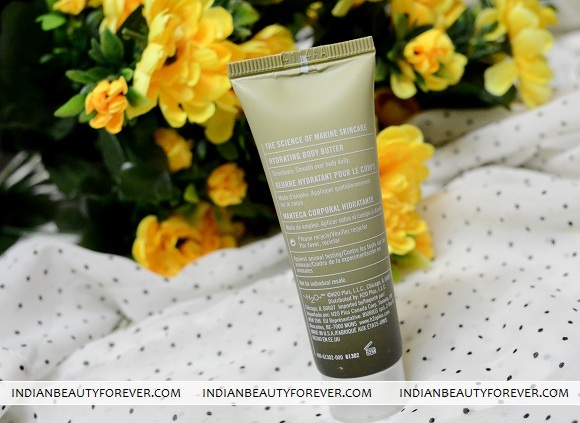 The body butter comes in a tube packaging which is hygienic as compared with the “The Body Shop” Body butters. Yes, I am comparing it, as can’t help it. Even the tub packaging of TBS body butters is okay but tube is what I prefer mostly with all my skin care products. This body butter has cocoa butter and shea butter and has spicy scent to it which is mild yet refreshing but nothing too exciting for a body butter. Consistency of this product is okayish not too thick or runny but it takes some time to get absorbed well. I like that it keeps the skin softer and a lot smoother for at least 7-8 hours when the skin is normal though for dry skin naturally the time will be reduced and it reapplication will be needed. I think this body butter has exorbitant price as no doubt the product keeps the skin hydrated for decent amount of time and smells okay but when there are options like TBS range of body butters with numerous variants to chose from and the price bit lesser than this, then I think I will not go with it. But nonetheless, it isn’t bad, just over priced. The tube packaging is good though. Take: H20 Plus Sea salt Hydrating Body Butter exudes a spicy mild fragrance and the butter enriched with cocoa butter and shea butter keeps the skin hydrated for good amount of time though the dry skinned ones will need reapplication. If you’re a loyalist of H2O go for it else there are other options as well, you know where I am pointing at.